The Wild West Challenge was not the first rodeo for many of the challengers in the Game Environment category so competitors definitely brought their A-game. In fact this time around, all of the top 3 winners had competed and gained recognition in a past ArtStation Community Challenge but it was incredible to watch how many first time challengers came very close! 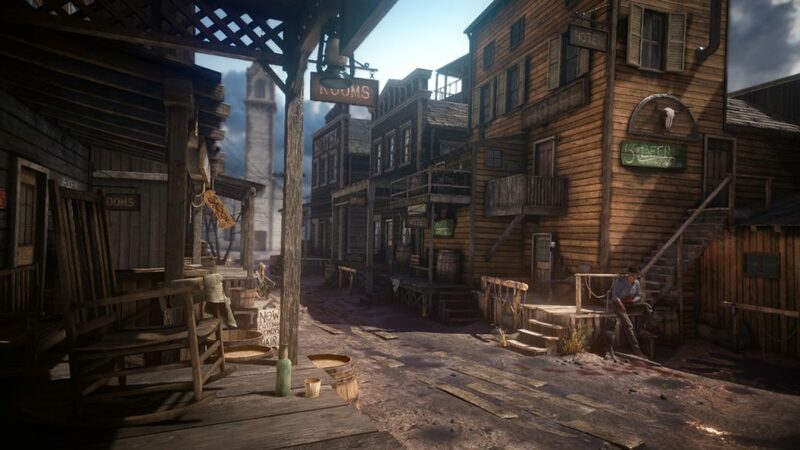 Browse all the Game Environment Entries of the Wild West Challenge. In this interview, Jon Arellano, Maarten Hof and Anthony Trujillo share their tried and true strategies for standing out in the challenge and prove that there’s always more to learn and improve on. Tell us about the general concept you had for your piece. Jon: I decided to come up with my own concept for this challenge. I really wanted to try and mix witchcraft with the wild west theme. Eventually I landed on the idea of a pagan town. I felt it would be the best way to blend the two themes. Maarten: I love history so I was super excited when saw the theme of the challenge. I initially wanted to work from my own concept and portray something about Lewis and Clark when they crossed America for the first time and started the Wild West but it was hard to turn this into an environment and finish it on time. Then I stumbled upon this awesome concept art by Aleksei Liakh. I immediately fell in love with the layout and mood. I also knew that I could finish this in the given time. The concept art was loose enough so I could still add a bit of my own ideas and story. 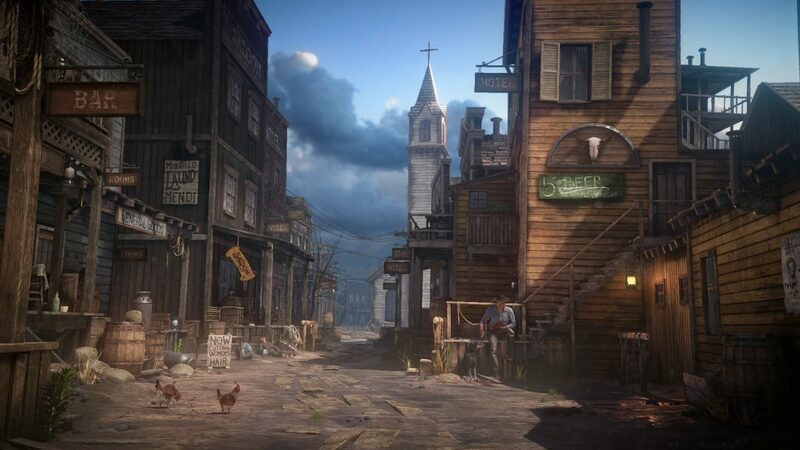 The general concept I had in mind when making this piece was that it should feel as if it were a western city. I wanted to enforce this idea with signs and various props. In addition, I wanted to keep the pressing mood from the original concept art so I added the story of a gun fight in the middle of the street where one guy barely survived it. Anthony: The concept by Ксения Ррр immediately grabbed my attention. I really loved the colors and wanted to translate them into a 3d scene. I also thought I could make a really cool top down angle from this concept. Battle chasers may or may not have influenced that decision. What was your strategy and process for the challenge? Jon: My strategy for the challenge was to come up with an idea that mixed the wild west theme with something that interested me. I would use the first couple weeks to nail down the idea, concept, and plan out milestones. I had weekly milestones I needed to meet (texture pass, prop pass, etc). 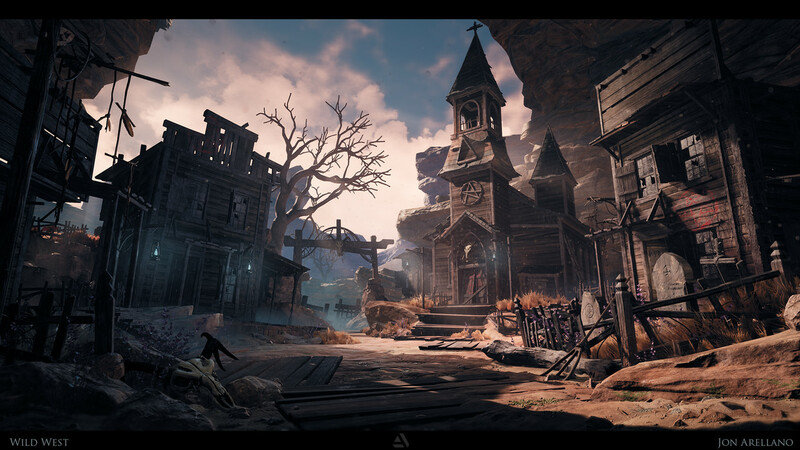 However, I tried to use each week as an iterative process to improve the overall mood and composition for the scene, mainly playing with lighting and asset placement. Maarten: When participating in these kind of challenges, time management is one of the most important things. I tried to do a lot in a short amount of time. This meant that I needed to think about smart ways to increase the production speed. I made buildings that could easily swap textures and windows that would fit on almost every building. I made sure I could reuse my assets as many times as possible without making it look too repetitive. In the end, I ran into some problems because of choices I made early in the challenge. I learned a lot by trying to have a more systematic approach when building this environment. Anthony: For this challenge, I wanted to go a pure hand-painted route which meant to avoid using my normal technique of using a hi poly sculpt as a base. I thought it would help improve my hand painted skills. My main strategy was to just finish the challenge on time so once I got the block out, I went straight to getting a 1st pass on all the important props so if I ran out of time, I could still make a smaller scene. Jon: The most difficult part of this challenge for me was trying to come up with ways to incorporate color into the wild west theme. I originally came up with a color pallet that was very monochromatic. I had to find ways to add some color into the scene in a way that still stay worked with the theme I had in mind. It caused me to stray away from my original concept, but after moving things around in my scene and changing my lighting, I eventually landed on something I was happy with. Maarten: The most difficult parts were the materials and lighting. When everything is made out of wood it can be quite a challenge to make every surface of wood look interesting and not let them blend in too much. In addition, there were hardly any artificial lights in this era so it was hard for me to enforce the readability of the scene. Eventually I solved this problem with propping so there was a negative space and by adding clouds that would cast shadows so I could add more contrast. 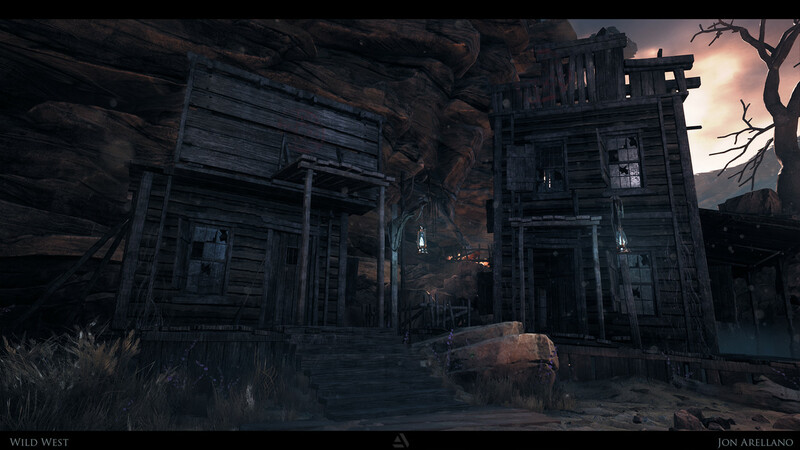 Anthony: The concept felt pretty western to me so no challenges there but the execution proved to be quite a struggle. The most difficult part was figuring out how to model stairs/scaffolding in and around a skull. Nailing down the final model of the skull early was really helpful in getting everything placed. Jon: There were so many amazing submissions for this challenge. Maarten Hof, Nastya Ermakova, Maxim Dorokhov, and Christoffer Radsby to name a few. All extremely talented artists with incredible submissions. Maarten: There were a lot of amazing entries in this challenge! 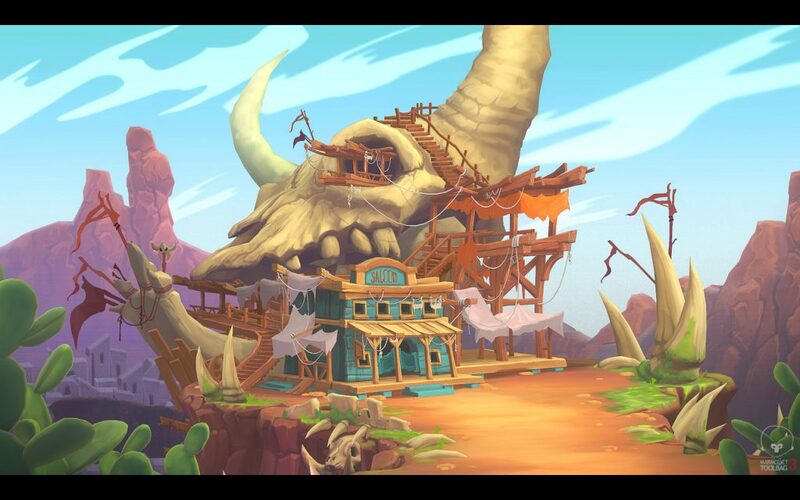 I loved how everyone had a different take on “Wild West”. The entry that stood out to me the most was from Sergei Panin. I also kept a close look at the entries by Christoffer Radsby and Nastya Ermakova. Overall, I really enjoyed seeing everybody’s progress. Great job everybody! Anthony: I think the main beauty shot of Justine Hamer‘s scene turned out really well. It had a really unique style and charm to it. Also, Nastya Ermakova’s entry really stood out to me. It has a really strong mood and great depth to the scene, really liked it overall. Jon: My biggest takeaway from this challenge is to not be afraid to change what isn’t working. Iteration played a big part while working on this project. My first idea wasn’t my best and a little ways down the line I had to make a tough call. Being flexible, responding to feedback, and willing to make drastic changes, helped push those original ideas I had even further. 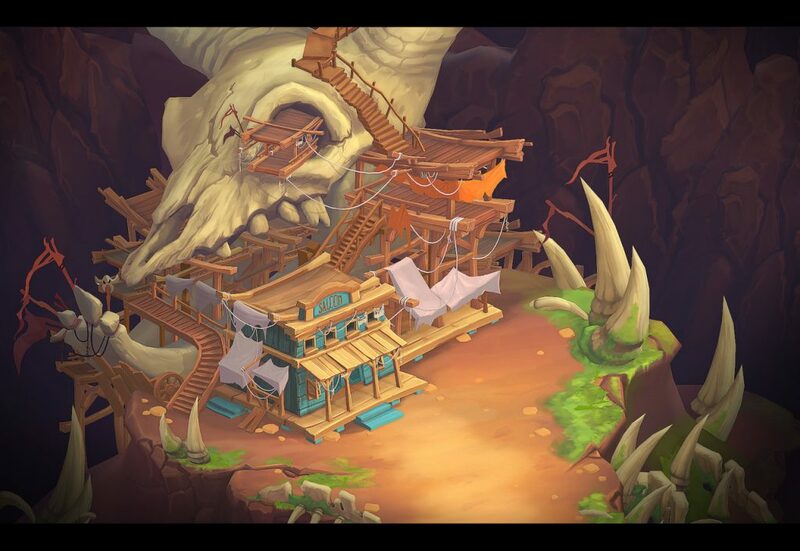 Maarten: That design, good reference and pre-production is super important in building an environment. This seems logical but it can often be overlooked. I learned that taking your time when designing and producing props or making a pipeline can save you a lot of time and frustration down the road. In the end it always comes down to: good things take time. Anthony: I should have started earlier. And, having a sculpt to work from makes things so much easier for me. By forcing my self to not rely on the “free” lighting information a hi poly gives you, it really forced me to understand how painting lighting works a lot better then I had before.